If we go there by bus from TBS, how we get to the hotel when we arrive? Dear Auraajaree, Upon arrival at Bus Terminal Freesia in Tanah Rata or Tanah Rata town, you can either take a taxi (MYR8.00-10.00) or walk uphill about 10-15mins (about 1km+) to our home. **You can use GOOGLE MAP and search for DO CHIC IN PLEASE PAY ATTENTION ON OUR ADDRESS AS NO SIGNAGE:- J13 & J14 BLOCK JASMINE (2nd floor), GREENHILL RESORT, 39000 TANAH RATA, Cameron Highlands. Sharing compound with HERITAGE HOTEL or Opposite LEISURE HOLIDAYS RECEPTION of Block Aster. **Follow roadsigns leading to Heritage Hotel in Tanah Rata. Or pass Barrack's Cafe (left), walk straight uphill, pass 'Church of Mount Carmel' (left), pass the guardhouse (left), go straight seeing 'Khor's Apartment' @ Block Eugenia (left) and Block Felicia (right) then see Rubbish Station (left) and see Heritage Hotel in front of u, turn LEFT then go straight till u pass Block Dahlia & Block Carnation (left) and Heritage Hotel's Bus Parking Lot (right) and CASA LOMA (right). Walk another 10metres and Please look on your RIGHT as our home is the FIRST apartment block (Block Jasmine on 2nd floor unit J13 & J14) or facing directly opposite Leisure Holidays Reception of Block Aster. **You will see a silver NISSAN ALMERA AKU6689 / Grey Proton Tiara ADE6689 or green Citroen ACV373 at the entrance of Block Jasmine (right side) and do walk up to second floor and look for unit J13 & J14 Check-in time : 2.00PM - 10.00PM only Check-out time : 11.00AM (no extension) **There is no lobby reception at our home. Guests are to advise their ETA in advance. P/S: Kindly ensure you have room reservation in advance with us instead of walk-in. Thank you. Does the standard twin room have 1 twin bed or 2 twin beds?? Interested in booking 2 rooms for 4 people. Thanks!! Hi, in the Twin Room with shared common bathroom got 2 single beds joint together (like size of King size bed) and we can also separate the beds based on request. If prefer double bed, then book Master bedroom with attached bathroom. Comes with 1 King size bed and nice view of the mountain/forest and private bathroom. Please advise e-mail address. Would like to book but can't find information. Hi there! 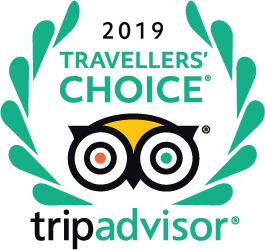 Kindly Google for our contact or email address as TripAdvisor does not allow us to answer your question with the email address or give you our website address. Thank you. Look forward to hear from you soon via email. "kamer met uitzicht op het woud"
"We hadden de kamer met uitzicht op de berg: was prachtig! Aanrader!" "Aan de straatkant kan het gehorig zijn, doordat een appartement in de buurt soms vol zit met groepen Chinesen die enkel komen om samen te zijn en te eten en weinig slapen. ( Slechts een kamer grenst aan de straatkant.)" "Wij kozen een kamer met prive badkamer. Voor ons een pluspunt."